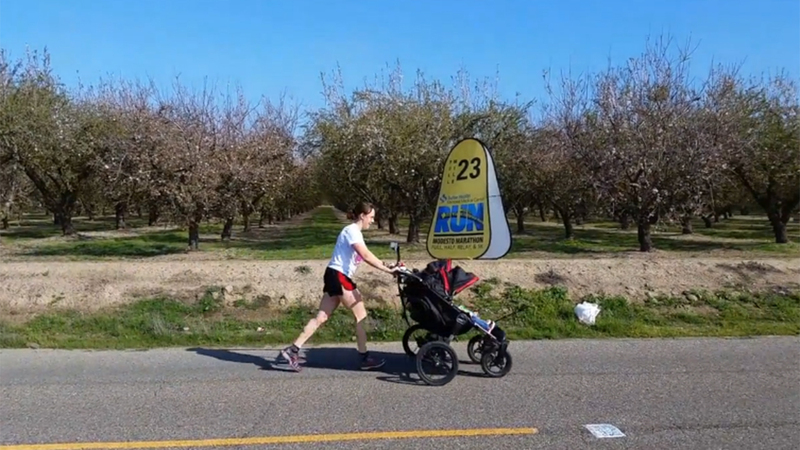 Cody recently competed in the Modesto Marathon while pushing her 15-month-old triplets in a four-foot-wide stroller with total weight tipping the scale at 120 pounds. She completed the 26.2-mile course in 4:06:33, surpassing the previous record time by nearly 20 minutes. The Guinness World Records will ratify her time in the coming weeks. Cody and her children already have made the Guinness Book when she was awarded a record for a similar feat in the most recent Fresno Half Marathon. There, she finished 13.1 miles in 1:47:59, a time that was just officially ratified by Guinness. For both races, Cody was motivated to raise funds for the El Camino Hospital Neonatal Intensive Care Unit (NICU) in Mountain View where her triplets received care. El Camino Hospital is an acute-care, 443-bed, nonprofit and locally governed organization with campuses in Mountain View and Los Gatos, California. Key medical specialties include cancer, heart and vascular, men’s health, mental health and addictions, mother-baby, neuroscience, orthopedic and spine, senior health, urology. The hospital is recognized as a national leader in the use of health information technology and wireless communications. El Camino Hospital has also been awarded the Gold Seal of Approval from The Joint Commission as a Primary Stroke Center as well as three consecutive ANCC Magnet Recognitions for Nursing Care.